Based on the famous ESKY Honeybee 2 CCPM, but in the size of a Zoom / Shogun 400. 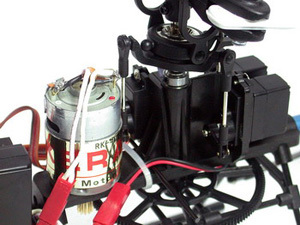 Equipped with carbon brush 380 main motor. Powerful enough to fly stably in strong wind. 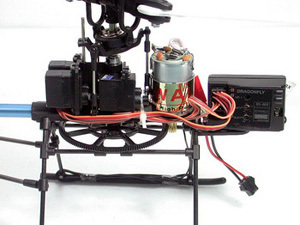 True CCPM collective pitch mini RC helicopter. Can fly in skyway, backward and 3D aerobatics. 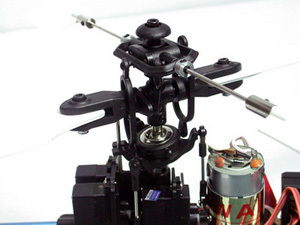 The transmitter is equipped with 3D mode conversion switch, and PZT and PLT adjustable knob, which can be used to adjust the helicopter to the best flying state. 6 Channel Multi-functional R/C Set included, complete Forward/Backward, Left/Right, Up/Down & Pitch Control (RUDDER, AILERON, ELEVATOR, Pitch AND THROTTLE). 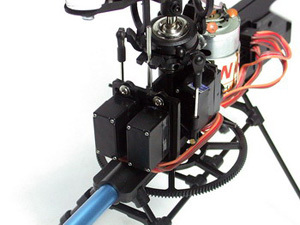 9 g servo and outer gyro. All in one circuit board with ESC+MIXER+RECEIVER+GYRO. Highly efficient tail rotor with elaborate structure. Adjustable screw space in the tail blade and axes drive system. The helicopter is pre-assembled and READY TO FLY. Only need 8 AA Batteries to power the transmitter. This helicopter is suitable for experienced players with middle level. More precision control allowed ?